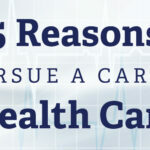 The landscape of health care is rapidly changing. New medications, medical breakthroughs and technological advancements occur almost by the minute. Today’s health care professionals must be willing to embrace the unknown and pioneer innovative methods to meet the demands of a growing, shifting industry. To provide care that’s patient-focused practitioners must be collaborative in their approach. From day one, HPU pharmacy students learn to embrace this team-based approach as opposed to working in “silos.” That’s why students receive an interdisciplinary education. Pharmacy students will take classes with students in athletic training, physician assistant studies and soon, physical therapy. Through that, they begin to understand the expertise other health care providers bring to table, and how they can navigate working in a team to provide the best patient care. Additionally, HPU has the smallest pharmacy class size in North Carolina. A low student to faculty ratio (9:1) ensures greater access to faculty and an education that is part of HPU’s “student first” philosophy. 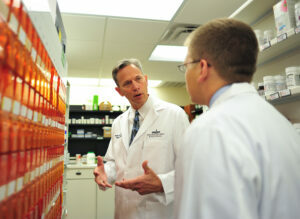 Research is an integral part of the HPU pharmacy education. Currently, faculty members conduct research and teach students at a satellite research lab, as well as a renovated and redesigned skills lab. Although temporary spaces, they rival most permanent spaces at other universities. In spring 2017, pharmacy, physician assistant and physical therapy programs will move to a brand new facility. At four stories and 224,000 square feet, the $120 million project is the university’s single largest investment in history. Inside will be advanced biomedical research facilities, standardized client space that records students’ interactions with patients, simulated retail pharmacy space, electronic medical records software, a simulated operating room, a cadaver lab and much more. Labs in this new facility were intentionally designed for all health sciences and pharmacy students to work together. 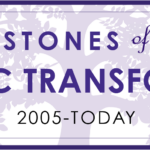 Many pharmacy schools teach the foundation sciences for the first year or two of their program, then shift to teaching the clinical content for the remaining time. Thanks to the Integrated Learning Model, HPU pharmacy students learn both the pharmaceutical sciences and clinical applications in tandem all the way through their curriculum. For example, beginning in a pharmacy student’s second semester, each student will be partnered with a member in the community to follow throughout their education. 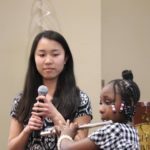 This teaches them the importance of developing relationships with patients, including how to navigate real-world, often difficult situations, while also helping the community member navigate a complex health care system. 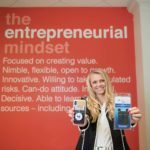 Every student at HPU is charged with developing an entrepreneurial mindset – to embrace flexibility, foster a can-do attitude, and be willing to learn from failure. Pharmacy students are no different. They learn to take bold, data-driven stances and try new approaches that increase the level of patient care. Dr. Mary Jayne Kennedy knows this. She’s the founding chair of the Department of Clinical Sciences in the School of Pharmacy. Kennedy came to HPU with an established career in pediatric clinical pharmacology. She also worked as a liaison between clinicians, practitioners and basic scientists to conduct research that improved the care of children. At HPU, she has led initiatives to create pharmacist-managed clinics in nontraditional sites such as food pantries and homeless shelters. 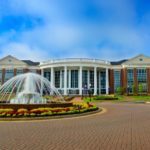 Through this, she hopes to prepare HPU students for both traditional and nontraditional pharmacy roles. 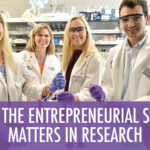 As High Point’s University, pharmacy students develop a deep commitment to the community and local engagement. 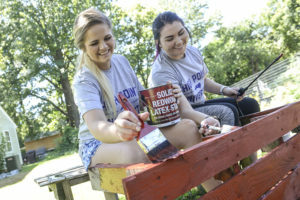 During their orientation in August, pharmacy students participated in community service activities to become familiar with their community and the people they’ll one day serve. 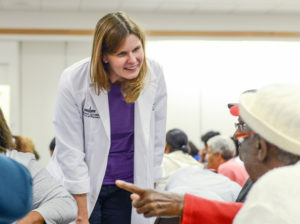 Dr. Robin Cooke, assistant professor of clinical sciences, serves in the men’s homeless shelter at Open Door Ministries every week as part of her job to connect campus and the community. Other pharmacy faculty volunteer at the Community Clinic on Main St., help host over-the-counter medication giveaways each semester, and share their family-friendly expertise on local news stations for the community’s benefit. 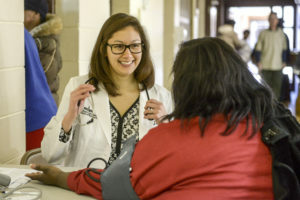 During their final year of study, pharmacy students will go through a series of nine, one-month clinical experiences with experienced health care providers. And as the only pharmacy school in the Piedmont Triad, opportunities for partnering with community pharmacists and hospital pharmacists abound.